This movement now embraces 60 European cities, from Lisbon to Berlin all the way to Stockholm, with some 30,000 people regularly taking to the streets. These demonstrations are set to continue at least until 7 May, the date of the final ballot of the French presidential election. The Pope believes those who govern have the task of discerning the paths of hope: “identifying specific ways forward to ensure that the significant steps taken thus far have not been wasted, but serve as the pledge of a long and fruitful journey.” A key concept here is the awareness of belonging to a “family of peoples” and living in a “common home”. The “Initiative of Christians in Europe (IXE)” calls for “fraternal solidarity in Europe” in its latest declaration of 25 March. 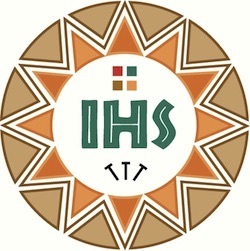 IXE is a European association of national and international Christian lay organisations which has regularly published statements on important European topics. The declaration states: “Whereas a Commission White Paper has just illustrated various future scenarios for the EU, we urge our leaders to opt for a scenario of fraternal solidarity across the peoples of Europe, beyond institutional or technical changes.” Furthermore, Europe has lost this spirit of solidarity which lies at the heart of the goal of an “ever closer union” enshrined in the Treaty of Rome. The present European imbalances should be reduced and political stagnation brought to an end. Everybody wants to see joint efforts made as a matter of urgency to protect those who are fleeing from armed conflicts and persecution. 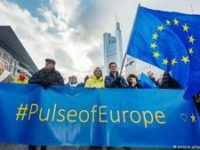 All “encouraging signs of citizens starting to stand up for Europe in many cities” are welcomed. In Germany, the proverb goes, “One swallow doesn’t make a spring.” But the roll-out of pro-European initiatives over recent months represents more than just one swallow. It encourages us to believe that a new spring has arrived in Europe.